Another SDE Relic Knights crossover mini done – One Shot. 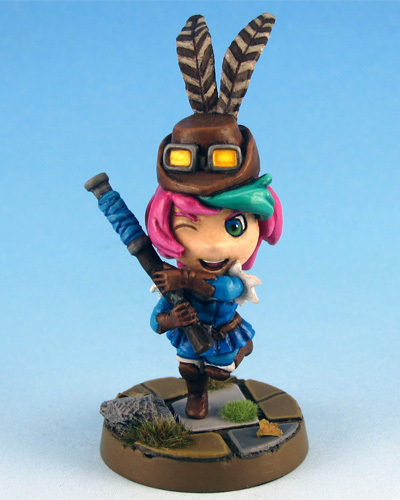 Finished the next SDE Relic Knights crossover mini – Calico Kate. Still love my custom base style for SDE but it is always great to modify them a bit based on the minis. With the pirate Calico Kate I added some planking and a little crab from Freebooter Miniatures. Four more crossover minis to go. 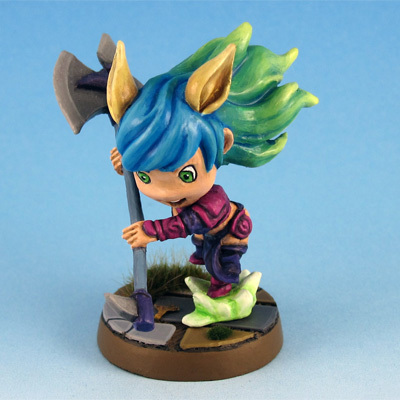 I realized some time ago that it has been more than a year, since I painted my last SDE miniature. Princess Malya, the first of the SDE Relic Knights crossover minis, has been sitting primed on my painting desk for all this time, looking at me with her happy face. About time that face got some paint. 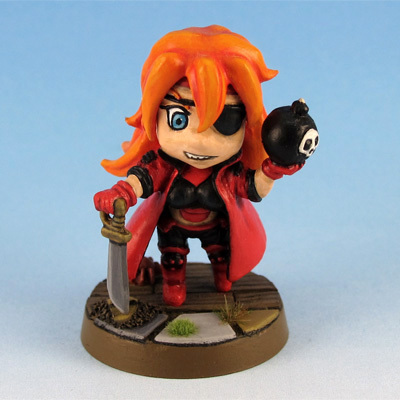 Today I present my first SDE mini of 2015 – Princess Malya. Really like the dynamic mini. Went mostly with the original color scheme, substituting blue with purple. Really loved the idea of the color transition in her hair. Very pleased with how it turned out on the mini. I’ll continue painting the crossover minis and will try to get as many of those as possible finished this year. 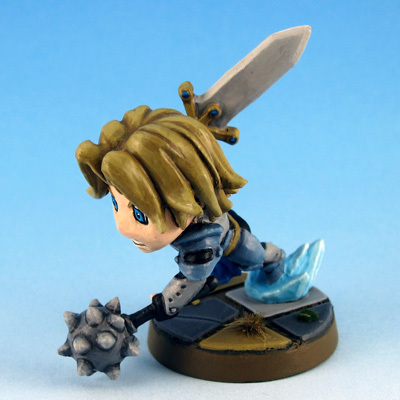 I’m rather sure that 3d printed minis will have a big impact of the mini industry in the coming years. Heard a lot of good things about Shapeways and decided to place an order with them some weeks ago. Was pleasantly surprised that they have a production center in Europe, which had a very positive effect on delivery costs and time. My first ever painted 3d model is the Ghost from Star Wars Rebels in about 1:1650. It should fit in nicely with the Rogues and Villains expansion for Star Wars: Armada. The model was created by Mel_Miniatures. The models on Shapeways are still rather expensive. More than 16€ for such a small model is a hefty price. 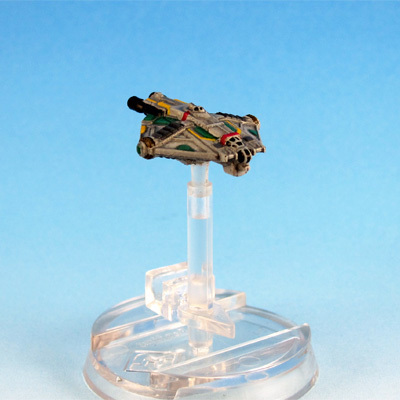 In X-Wing scale the model costs more than 150€, which is about triple the price the prepainted Ghost model from Fantasy Flight is expected cost. I chose “Plastic: Frosted extreme detail” for the printing quality and the detail on the mini is really great. The material seems to be very durable, but I had to clean it very thoroughly before it accepted paint.